The Gravity Assist System patented by the Kal Tire Mining Division takes the lug out of lug nuts by supporting the 36-kilogram torque gun that tire techs use in changing 5,454-kilogram tires on the Cat 797 OTR Ultra Class Dump Truck. And this innovation won the International Mechanical and Technology Innovation category at the recent Electra Mining Africa 2018 conference in South Africa. 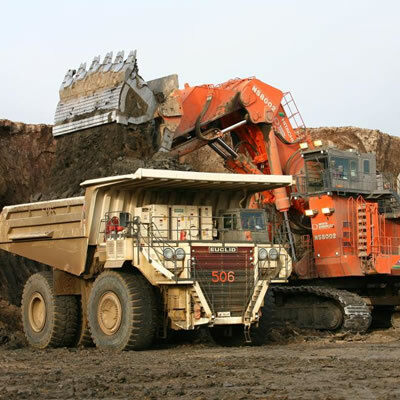 Kal Tire is in the business of managing total cost of tire ownership for mining customers, and this winning innovation drives better safety outcomes, reduces the hours required to service mining truck tires and elevates Kal Tire’s relationship with clients. 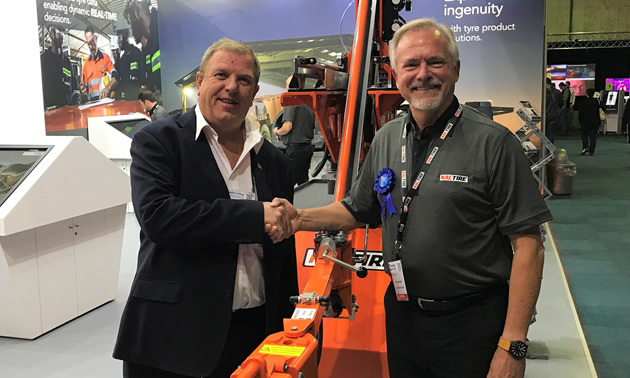 Peter Nilsson, innovation and R&D manager at the Kal Tire Mining Group, brought this patented innovation to the mining market. 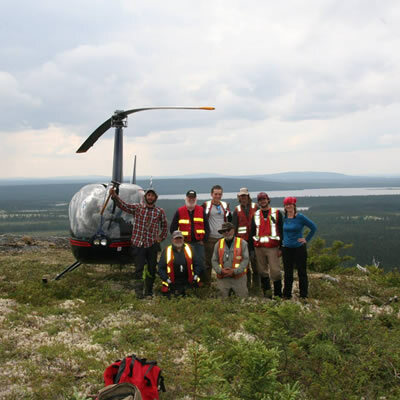 (Read how Kal Tire Mining Division does innovation here. Nilsson makes it his business to capture, collate and shepherd the best ideas from people in his business to make improvements to a number of processes that impact safety, cost and performance. 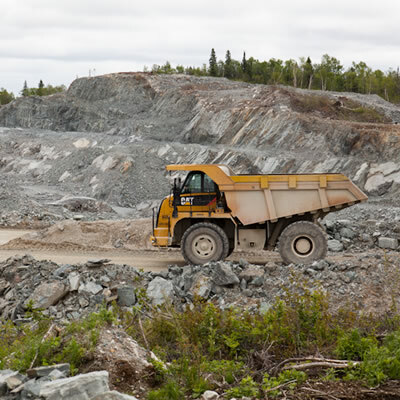 Kal Tire Mining Group encourages employees to submit proposed solutions to sticky problems—any kind of improvement is eligible. In making the decision on the top entry, Bruggeman pointed to safety improvements, cost of tool manufacture and the innovative aspects of the tool in addition to Nilsson’s knowledge and passion for the development.